2. 4-tier to hold a number of products. 4. Shipped flat to keep cost down. These floor standing cardboard display are designed with multi tiered to hold a number of products, such as drinking, cosmetic, medicine and much more. 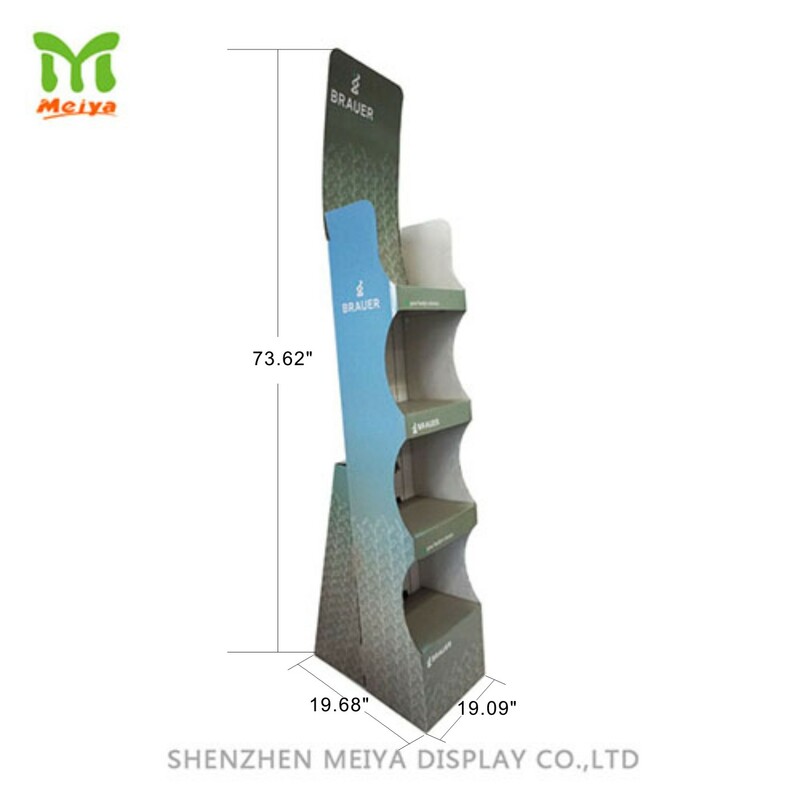 Meiya Display is a cardboard display manufacturer wiht over decade history. Any cardboard display can be customized on your demand .